Creating a top-notch design center is something of an art form. 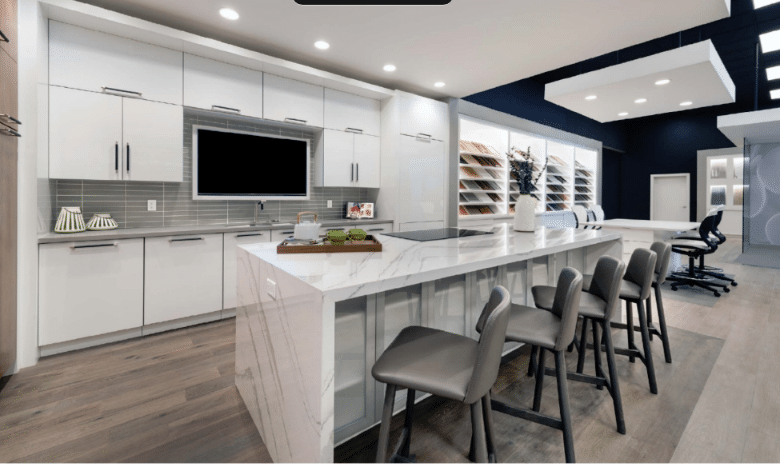 Not only are design trends continually changing, but consumers are inundated with home interior shows and websites offering daily ideas and inspiration. 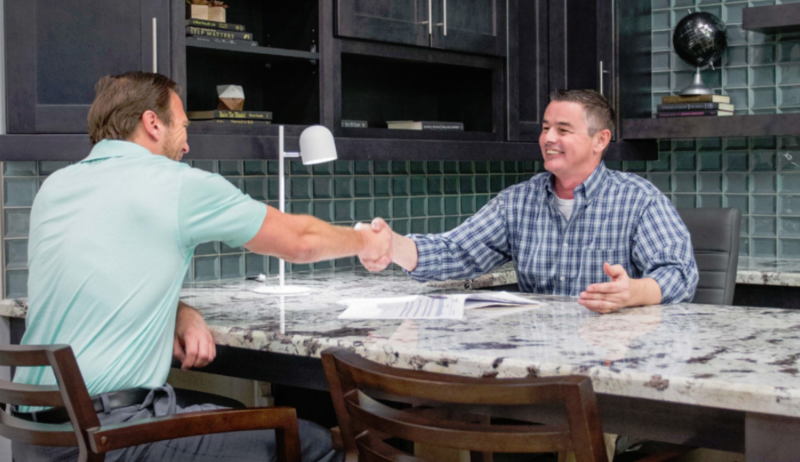 From new builds to room-by-room renovations, your clients are looking for a place to design and create the perfect home interior—which calls for a design center that empowers their journey from visualization to installation. To do so, there are four key elements to take into consideration. It goes without saying that a design center should be visually appealing. Creating real room displays allows home buyers to view each design element—from cabinets and countertops to flooring and window treatments—and visualize how it would look in an actual home setting. Care should also be taken when displaying products and samples to ensure they are both accessible and pleasing to the eye. Keep in mind, however, that a design center is not a retail store, and aesthetics should not overshadow functionality. Good lighting, comfortable work spaces, and a simple overall flow to the layout will ensure a pleasing home design experience. Nor is a design center a cookie-cutter product warehouse. Instead, the atmosphere should be one that inspires creativity, encourages conversation, and offers an inviting space in which home buyers can embark on their design journey. Focus on key details such as lighting, paint color, decorative accents, and an open floor plan that easily connects one space to another. Also essential to a relaxed, customer-focused atmosphere is an experienced design center staff. Knowledgeable design consultants play an important role in guiding the design conversation and should have a strong knowledge of current trends, products, materials and inventory. New technology has propelled interior design into the twenty-first century and beyond, with many design centers incorporating interactive tools that simplify the home design experience and make it easier and more enjoyable for home buyers to choose their interior options. Innovative software solutions such as VEO Design Studio allow users to view and compare products and materials, see their pricing options clearly, get tips on preparing for their next design session, and go forward with their design choices with confidence. 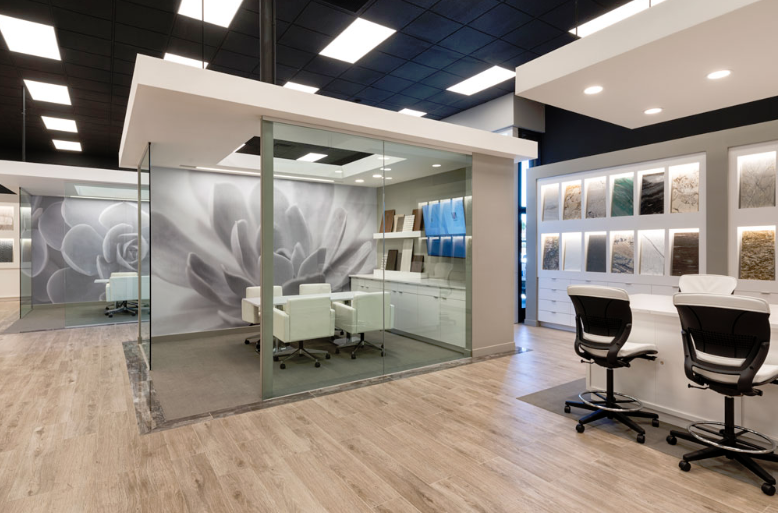 With interior design trends changing from one season to the next, a successful design center is one that stays up to date with the latest products, styles and materials and continually updates its selection to meet consumer demand. More than simply adding a few new products each season, premier design centers will periodically update their layout, interior decor, lighting and other elements to ensure an engaging and immersive experience. Discover Primera’s state-of-the-art Design Centers. 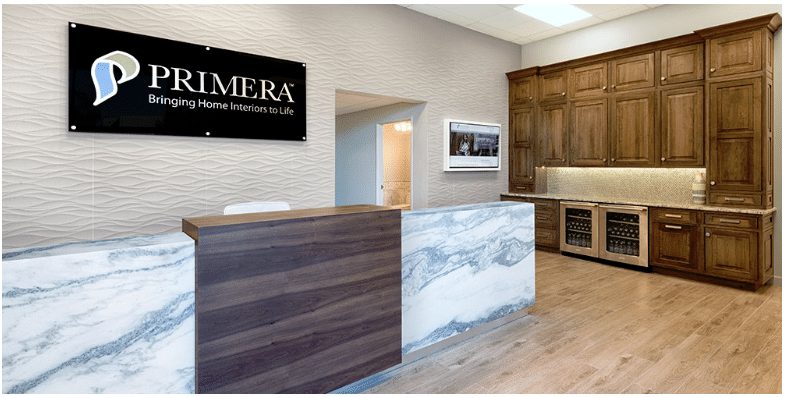 Your clients deserve a true visual and tactile experience to design and create the perfect interior, and Primera delivers. 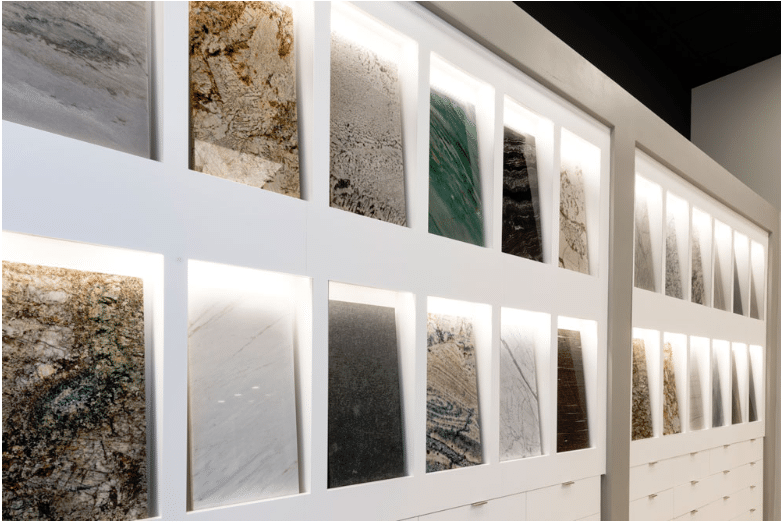 Our award-winning design centers offer endless possibilities to feel countertop materials, visualize tile designs, and experience cabinets and backsplashes in real room displays. 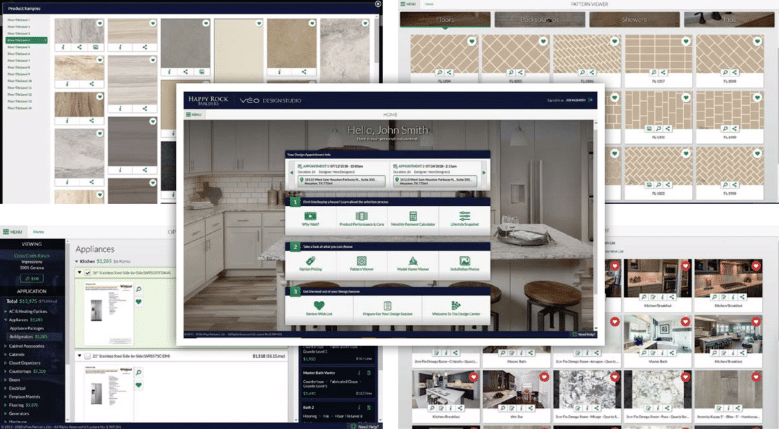 Using cutting-edge VEO Design Studio software, home buyers can review their interior options in the comfort of their own home—prior to their design center appointment—and narrow down their favorite products and materials. We even offer specially designed meeting rooms for you and your clients to review the products comfortably and collaborate without distractions. Click here to learn more about Primera Design Center Services.